Are you ushering in the new year with a commitment to fitness? Maybe you're just looking to shed some celebratory weight picked up over the many family dinners to which the holiday season plays host? Either way, there are a few neat additions to your fitness routine (see our article about best fitness trackers) which can make shedding pounds or getting ripped that much easier to accomplish. Just about everyone at the gym is working out to the rhythm of their own private sound system. Take a look around at just about anyone getting some exercise and you'll notice the ubiquitous earphones providing the back beat of fitness. This trend has not gone unnoticed by major manufacturers, like Jabra, who have developed several innovative features to make their products more in tune with the needs of these users. 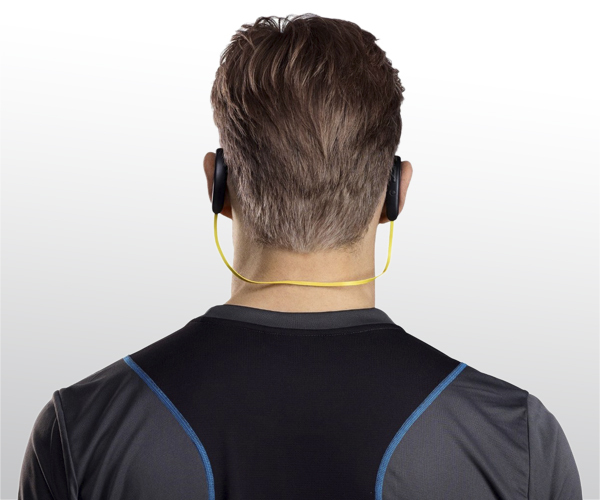 The Jabra Sport Wireless+ is a great example. Lets explore three excellent reasons to treat yourself to a pair of earphones designed specifically for work out usage! Anyone who likes a good workout knows its quite a sweaty business. Regular earphones and headphones don't always respond the best to moisture and sweat – it can soak into some parts, damage others, or even make the earphone too slippery to stay in place! This is one of the major features of sports earphones. Treated with moisture resistant coatings and plastics, they don't end up lubricated and slipping out of your ear after you work out a good sweat. This design also prevents any moisture from accumulating in the device where it can have an adverse reaction with electronics and sensitive component. As a result, sweat and moisture resistant earphones will almost definitely have a much longer lifespan for frequent gym goers than a run of the mill pair of earphones would. The demands of exercise can require some pretty intense motion. Regular earphones are often not quite prepared for this: cords yank out, loosely-fitting earphones fall readily from the ears, the steady motion of exercise dislodges them from place – the list goes on. Sports earphones are designed with this in mind and incorporate many features to insure they stay well and truly fixed in place no matter how intense your workout gets. This is probably the worst drawback of typical earphones. Suddenly your every motion is restricted, always paying careful attention not to get in the way of your headphone cord or to suddenly yank your phone or MP3 player from your pocket. 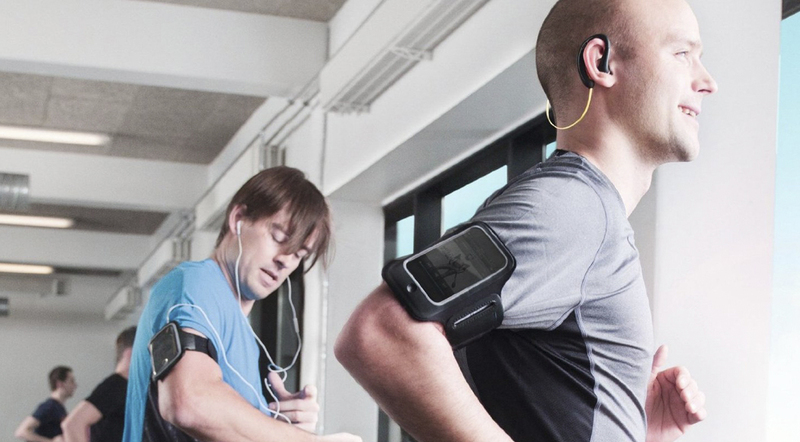 sports earphones incorporate wireless technology to free you from the bonds of exercising tethered to your music player! Of course no single purchase will help you meet that new years fitness resolution. But with a few things to help you along the way – like some good tunes delivered by your sports earphones – can put a bit of pep in your workout and add a nice motivation to achieve your fitness aims! I'd like to encourage everyone to do some daily exercise and try to take some simple, everyday steps to make their lives a little healthier! If New Year's resolutions are what motivate you, or some nice earphones, all the better. But a commitment to a healthy lifestyle will pay off for years to come. Well wishes from everyone at liGo! This entry was posted in General on 21/01/2015 by Max.